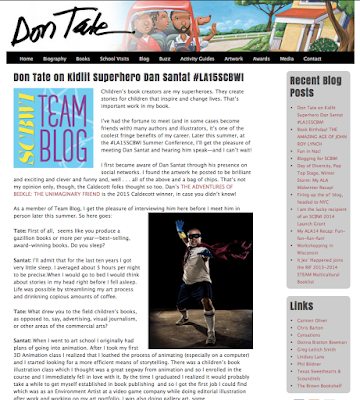 Check out this great interview between SCBWI Team Blog's Don Tate and Caldecott-Winning Author/Illustrator Dan Santat! They discuss work habits and tools, diversity, and what getting that Caldecott really means to Dan. We also find out more about Dan's role in the Illustrator's intensive and how he'll be offering two breakout workshops and giving a keynote! We hope you can join us for #LA15SCBWI! Detailed conference information and registration here. 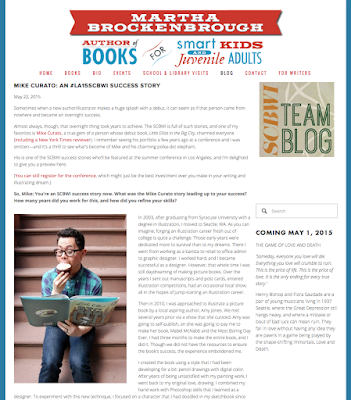 Last Call For Manuscript (and Portfolio) Consultations at the 2015 SCBWI Summer Conference! The Conference consultations are an amazing opportunity. Rather than the typical wait of months (or even longer!) and then not always even hearing what the editor or art director or agent thought (if it's a pass), this is a chance to get an industry professional (agent, editor, art director or published author or illustrator) to sit down with you for twenty minutes to give you an honest, professional appraisal of your work and discuss the first ten pages of your manuscript! 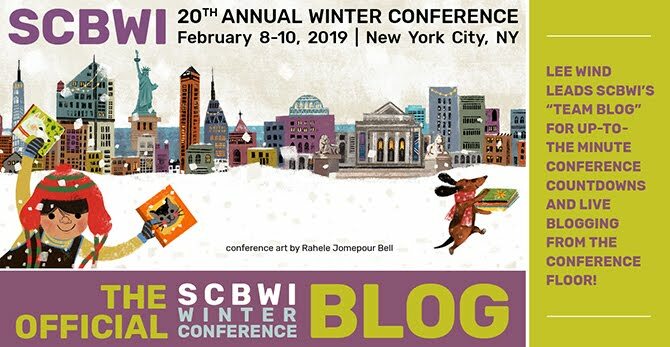 Note: The deadline for manuscripts is that they must ARRIVE in SCBWI's Los Angeles office ON or BEFORE Tuesday, MAY 26. Manuscripts received after THAT DAY cannot be accepted. Are there success stories from the consultations, of agents and editors who've ended up signing projects from what they saw at the consultation? Yes. But even more than that, each consultation is a chance to get that honest feedback, and to grow as an author and/or illustrator. And we all need to keep growing as artists, no matter where we are in our careers. And for everyone attending, you can sign up for a Social Media consultation with social media guru Greg Pincus. You can read all about the consultations and their guidelines here. Here's to the conference (and maybe a consultation, too) being a great experience to move your craft – and career – forward! You'll find all the conference details and registration information here. Click over and read this super-cool interview I did with author/illustrator Adam Rex. We delve into how he both illustrates and writes (and find out how he knows which tool to use when.) 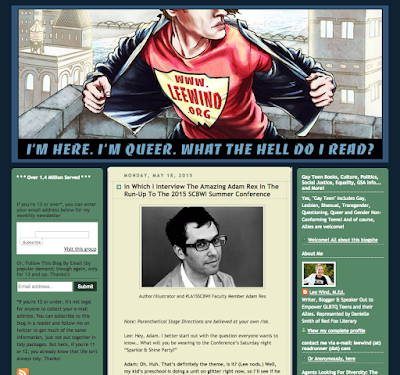 Adam also gives us some insights into his sessions and keynotes at the upcoming SCBWI Summer Conference in Los Angeles, July 31-Aug 3, 2015. Not convinced you want to read it yet? Well, in the course of the interview, I evidently turn into a bird. And Adam wears eggplant. And if you can, join us for #LA15SCBWI. Detailed information and registration here. 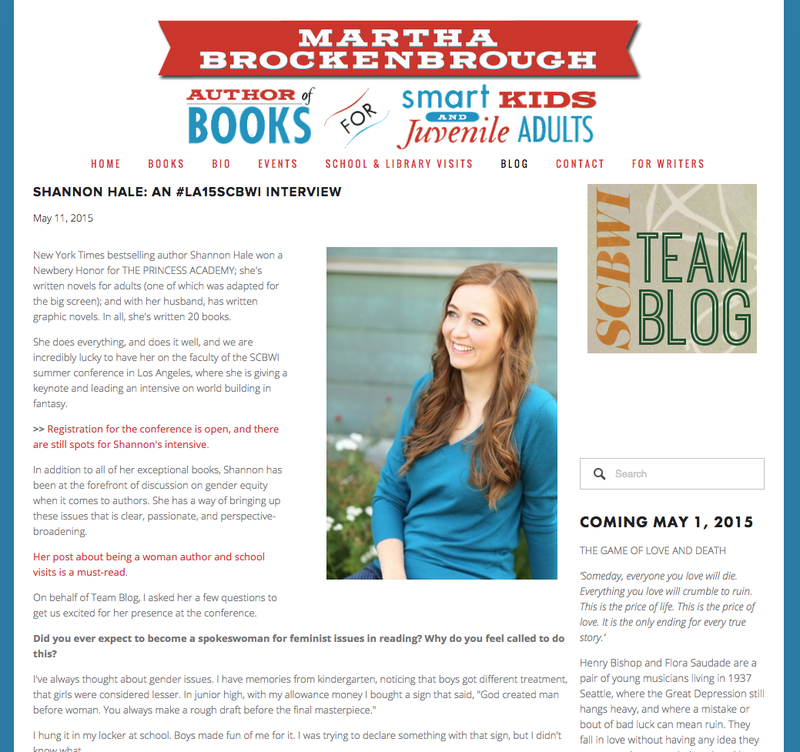 Check out this great discussion between SCBWI Team Blog's Martha Brockenbrough and best-selling and award-winning author Shannon Hale. "If I make one change in the world, I hope it's getting more people to question why boys are shamed for/kept away from reading books about girls. The more we question the idea that it's normal and natural and fine, the more we'll realize it's not and things will slowly start to change." Shannon will be giving a Sunday keynote address "Opening Up The Clubhouse: Boys, Girls, and Genderless Books." 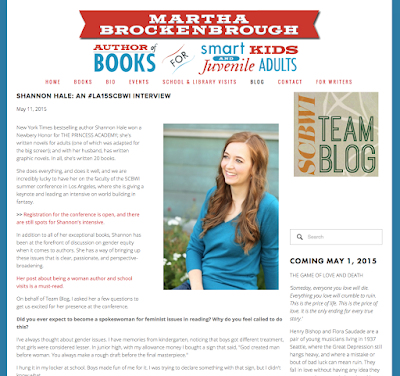 She will also be leading a Sunday afternoon workshop, "Writing With Kids: The Marvelous High Wire Act of Writer Parents" and a half-day intensive workshop on Monday, "Building Worlds From The Dust." Many of the intensives have already sold out, but there's still space as of this writing in others, including Shannon's. You can find out all the conference details and register here.